It has been 17 months since I started Nature Experience Instructor studies at Santasport at Rovaniemi. The last 4 day period of the studies were conducted this weekend. The days were fully booked and long when we covered still themes and activities left for the studies. 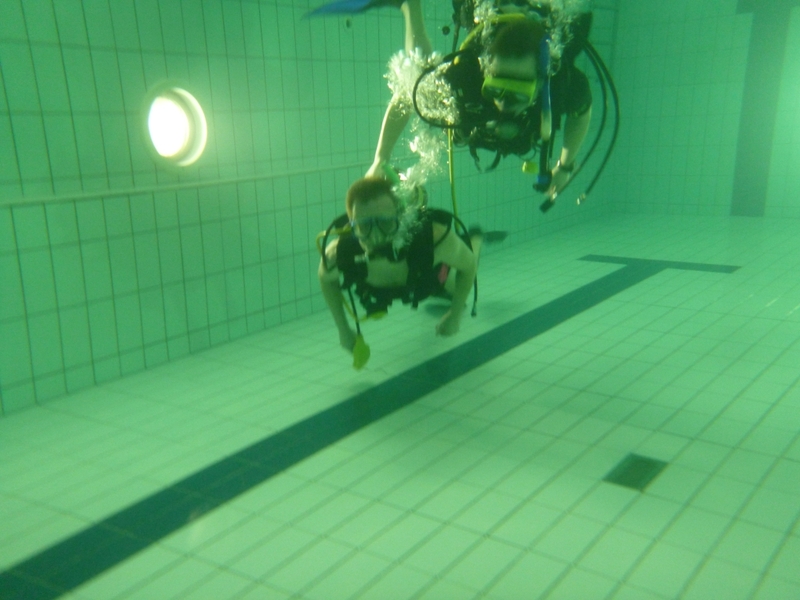 On Thursday we had a chance to try scuba diving, but only at swimming hall. This was the first time for me to dive with oxygen and regulator. On Friday we moved outside and headed onto a snowmobile tour. I haven't had a possibility to try out snowmobile before, but this one day course gave a good view about snowmobile driving technique and possibilities at deep snow as well as at ready made tracks. The views were amazing and the heavenly warm fish soup eaten at the cozy cottage during the blue hour just crowned the tour. The next day I had all my muscles sore, but couldn't complain at all. We had a 15 hour final test ahead of us. It started with paddling test at swimming hall and ended 15 hours later with 18 km triathlon race (skiing, running and swimming). The first leg was 13 km skiing followed by 4 km running leg. At this point we had to swim at frozen lake and after freezing swim run still 4 km to reach the finish line. All in all it was tough weekend, but at the same time I am extremely happy to successfully graduating from the school gaining huge amount of new knowledge and skills.